their alternative style and culture. as well as allow users access to shopping and music discovery remotely. Amoeba Music wants to extend their in-store experience to mobile and web, offering a user-friendly way to navigate their enormous inventory. 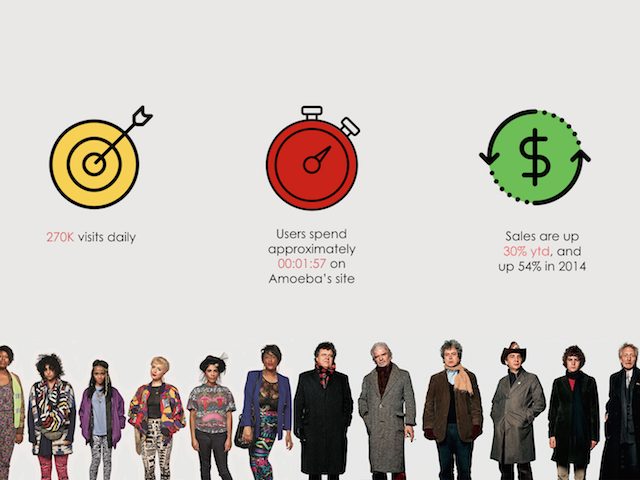 Before starting this process, I first had to understand the demographics of Amoeba's customers. So I went to their Hollywood store and interviewed two employees & the site manager. These are infographics I made to break down the data. Secondly, I made a Competitive/Comparative analysis for context to Amoeba's industry. 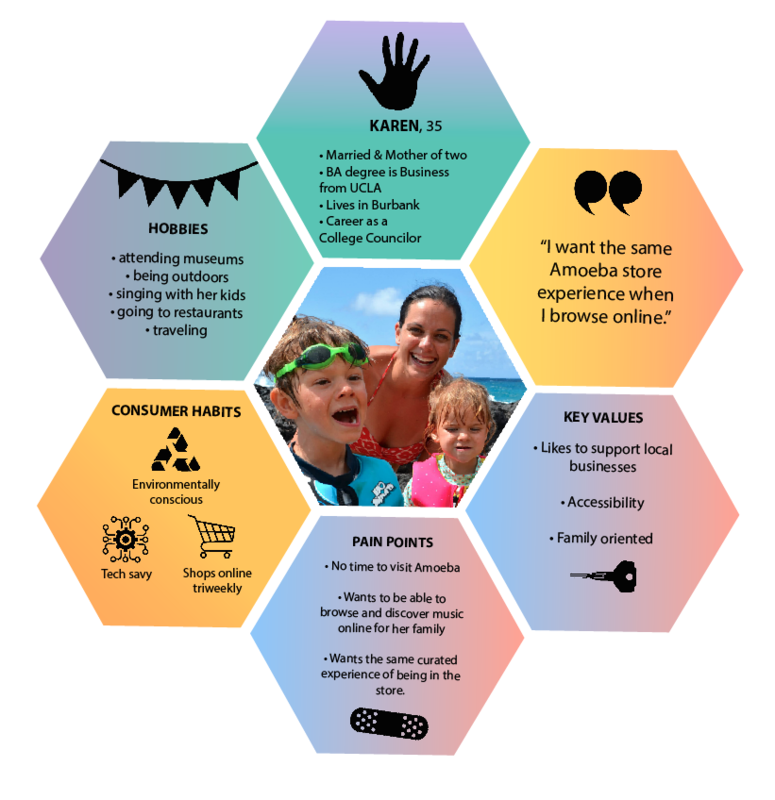 The most difficult task in this project was card sorting Amoeba's massive amount of content and features on their site. 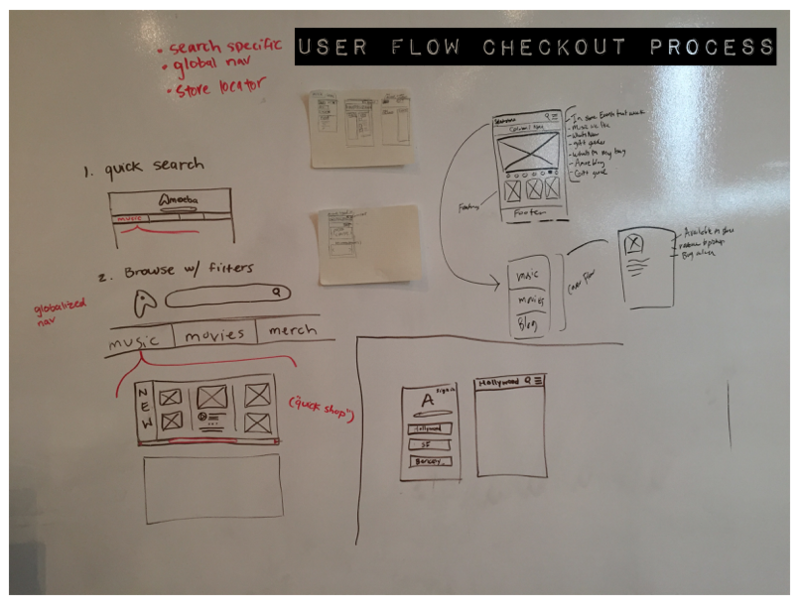 Yet once that was sorted, understanding the user's navigation to checkout was quite simple.